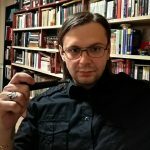 In this short article I would like to clarify several basic aspects regarding the so-called Traditional Satanism. There are many speculations regarding this subject. Being a former adept initiated in this tradition, I think I am able to share my opinion and knowledge regarding this subject, in an objective manner. As I already said in the article “Types of Satanism”, the definition “Traditional” Satanism refers to a cult (religion would be an overstatement) which has traditions. When I say traditions, I am referring to different customs that were passed from master to apprentice, without being altered, for many years. Today, this type of Satanism is rarely found, but an exception is The Sinister Path promoted by The Order of Nine Angles which states that it has a tradition. In theory, yes, it has one, but that tradition is a modern one, founded 30 yeas ago at most. Many authors try to change the real image of this cult, like a woman changes her appearance using makeup. But, underneath the colorful mask, another face is hidden. That is the case of the original Satanism. With just a little patience and the effort made by reading at least one book on this subject, we could understand what Satanism is, and what it actually was. There were always individuals and groups who preferred to walk on obscure paths. We can find such individuals in almost any cult: shocking, defiant, tough and even dangerous individuals. In the case of Satanism, history varied and the traditions changed, but the main ideas are still the same: the worship of a Dark God, anticosmic ideas and antinomy. 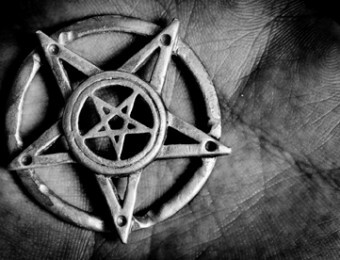 When we talk about Satanism, which by definition has its origin in Christianity, these philosophical and spiritual characteristics were there from the beginning of Christianity, or even before the Christian era, as some say. To be more specific, it began with the first Gnostic sects. It is however clear that not all those sects were “satanic” or “anti-christian”, but some were promoting the same Satanic or Luciferian ideas. Sects like the Luciferians, Ophites, the Sethians, the Cainites, the Barbelo Gnostics / Borborites and, in my opinion, the Yezidi. Their doctrines were clearly sources for the Traditional Satanism. Some of their beliefs includes the idea that God the Creator (Yahweh) is in fact a Demiurge, an Ahriman. The Snake from the Garden of Eden was the Savior of humanity (the Ophites were worshipers of the Snake) and they held orgies. Still, we cannot resume only to these ideas, as their belief is much more complex, having a specific ideology and cosmology. Those beliefs also vary from one sect to another, and from a Gnostic teacher to another (the two even being in the same Gnostic sect). 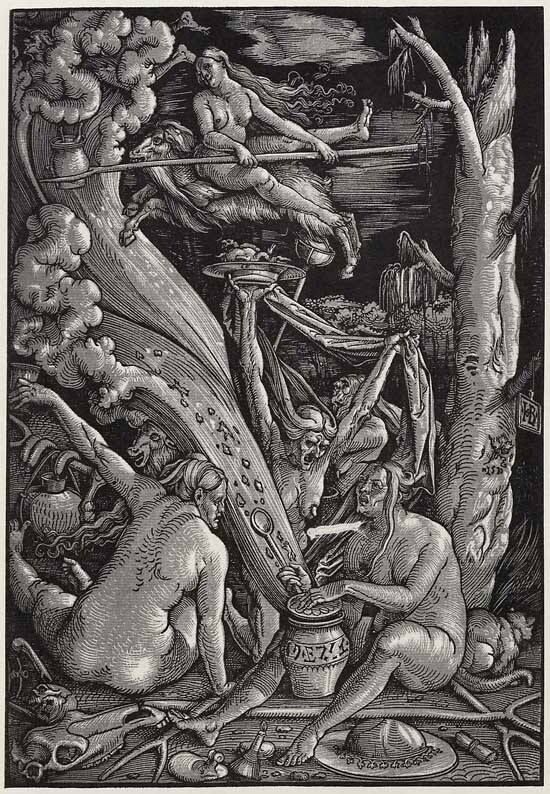 Many such beliefs can be found in the Middle Ages, in the case of witches. One such example is the importance of sexuality (orgies – practiced at the Sabbath or the Black Mass) as the Borborites were practicing it. A questionable subject is the sacrifice of infants, which can be found at Barbelo-gnostics and witches. The three manuals against witchcraft, Malleus Maleficarum, Compendium Maleficarum and Daemonolatreiae Libri Tres focus on these practices and modern writers like Montague Summers regard everything as truth. Others authors, like Jules Michelet, contested this. Still, many historians ask the question “Is it true or not ?”. Still, from the 17th century, things change radically. In France of these times, Satanism was an absolute truth and a major influence on many levels – religious, artistic and political. There are many evidences showing that these beliefs and practices were very real and spread all over the country. An interesting and spread “tradition” was the art of poisoning, practiced with passion and talent by the infamous lady La Voisin. Much information can be found in the book The Satanic Mass by Rhodes, which is not, by all means, a dogmatic book but a sociological study, as it is described in the book subtitle. In the 12th chapter, “La Reynie and his Police” it speaks about the police investigations focusing on the fact that it was not based on superstition or theology, but only on criminal evidence, and have arrested many individuals by doing so. In the 1940’s, there was a coven named “Our lady of Endor” which used Gnostic theology and which clearly worshiped Satan (another name given to this cult was Ophite Cultus Satanas). An older coven, that was criticized for it’s authenticity, is the Hellfire Club in the 18th century. It is said that they were practitioners of the Black Mass and orgies. I cannot give any details since I don’t know any. Then, in the 60’s and 70’s, and culminating with the satanic panic in the 80’s and early 90’s, are other examples, although the last ones are not very clear, being mostly a mass hysteria. It is clear however, that in the 60’s there was a revival of Satanism, not (only) because of the creation Church of Satan, but because “theistic” or “traditional” covens, the most representative being the Order of Nine Angles. The foundation of this order took place around 1962 and developed at the beginning of the 1970’s, after the fusion of three traditional covens from England, having as founder the enigmatic and charismatic Anton Long. The first written texts of the order have their origin in this critical period. Prior to this, the tradition was passed orally. In the 90’s, in 1992 to be more specific, Brother Nero founded H.O.M.E. 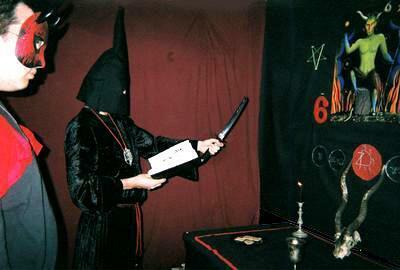 as a group of individuals who practiced authentic traditional Satanism. This group was worshiping the Devil in it’s traditional form, ceremonies were held, and animal sacrifice was practiced – and is still practiced by Brother Nero. Before founding H.O.M.E., Nero was a member in other organizations with an inclination towards satanism: Temple of Set and Ordo Templi Orientis. Starting in 1992 and lasting even in present times, Nero is one of the most important individuals in the satanic community, being the priest of many personalities these days. Among the organizations that have their origin in H.O.M.E there are: Temple of Satan, Sanctuary of Satan, Church of Lucifer’s Triumph, Black Coven of Satanas, Cult of the Ram and Cathedral of the Black Goat. The founder of the Cathedral of the Black Goat was Brother Nero’s apprentice, so was Brother Obitus of Black Coven of Satanas. Members in the Cathedral of the Black Goat were Maxine Dietrich a.k.a. Andrea Harrington, the founder of Joy of Satan, and Diane Vera, the founder of Church of Azazel and Black Goat Cabal. Many people came and left, some joining other groups such as Brotherhood of Satan (a priestess of B.o.S. was also a priestess in CoBG) or Order of the Morning Star, but the Cathedral lived and is still active today. Two Satanists from Romania were in the CoBG priesthood, called The Council of 6. These two Satanists, Sister Darkange and Brother T.C. 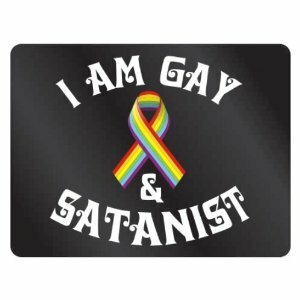 were the ones who actually introduced me to traditional satanism and the Cathedral of the Black Goat from 2004 to 2008. Getting back to Brother Nero, he was the first who hosted a TV show regarding Traditional Satanism and the first who promoted the satanic traditions on the internet (several years before Church of Satan or any other group). I could write a lot regarding this individual and his contributions, but let’s just stick to the subject of this article. Those that promote a happy and luminous religion under the name of Satanism have no idea about the history of this cult, about its practices or the power that it has. In short, traditional Satanism is worship of the Devil, simple and straight to the point. Many would say that Traditional Satanism is reversed Christianity. It actually is, from many points of view. Mainly because some of its roots come from Gnosticism, others can be found in Medieval Witchcraft, while others can be found during Elizabethan era. Because this religion was not easy, nor beautiful, methods were developed to change its original significance – this is how the new types of Satanism were born. To “ease” the Satanist’s work and in having a better image in society. Satanism has always been under constant attacks from the RHP religions (Christianity, Judaism, Islam and so on) and suffered many modifications. Because of this, only a small fraction of this tradition is still authentic. Not to mention the attacks from the Judeo-christian religions, or that now there are also the pseudo-satanists. That means, individuals that turn Satanism upside-down, that turns Christianity upside-down. Interesting, right? These individuals will clearly tell you that they don’t believe in Satan and don’t worship him, things that are in total contradiction with the definition of Satanism. We are aware that the new belief systems and ideologies are more mature for some, but this is a whole different story. But should we also call it Satanism? CAN we still call it as such? Many young people are searching for a way of life, a philosophy to be proud of, to tickle their own ego. 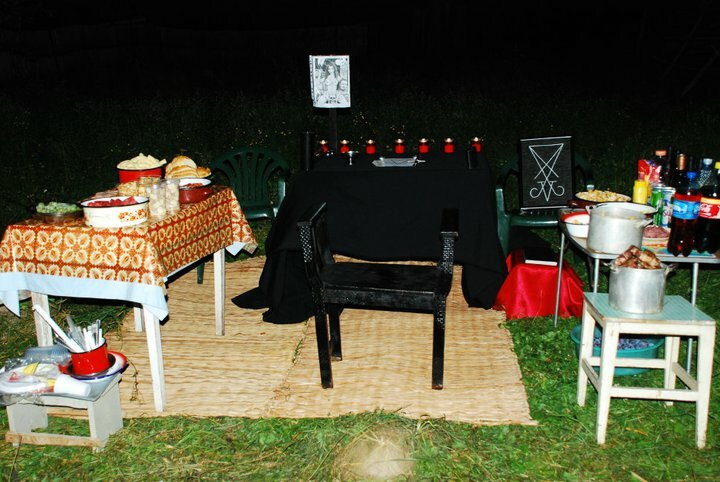 Some become doctors, others become physicians and others become…satanists. And for that, only a short lecture is needed (LaVey’s “Satanic Bible”), and they realize that they are gods. They want to alter the original Satanism so that it suits them well. In reality however, the essence of Satanism is far from what the common dabbler believes, as it is not a playground, but rather a war zone and temple of pleasures, it is that which brings Hell on Earth.